Home › 2. 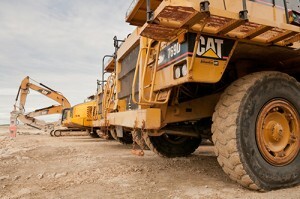 Heavy Equipment › Heavy Equipment: Are You Ready for “Servitization”? Heavy Equipment: Are You Ready for “Servitization”? According to Vodafone’s “M2M Adoption Barometer 2014”, “servitization” is part of the next wave of the M2M evolution and it is the process where equipment manufacturers make the shift from selling machines to selling the service. “Servitization” is not a new concept by any stretch. 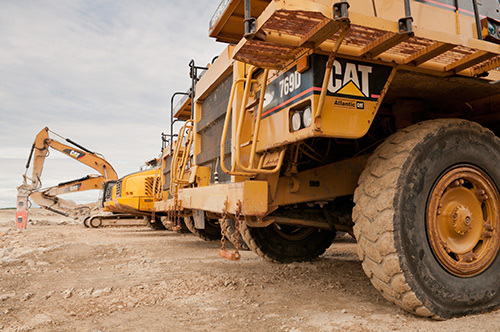 For example, heavy-equipment manufacturer Caterpillar has “servitized” their business by including a remote tracking and monitoring service as part of their business offering. The Cat® Product Link combines satellite and Internet technology to offer equipment tracking and preventative maintenance scheduling. It allows dealers to offer services like 24×7 updates on location of equipment and activity monitoring to develop precise preventive maintenance plans that ensure long component life and machine uptime. Continuous monitoring of equipment as a service provides many benefits. Saiia Construction from Birmingham, Alabama has seen a reduction of up to 75% in operator driven events. Company managers receive emails or text messages when equipment is being used outside of normal operating parameters and it allows the company to proactively train personnel in correct operating procedures. The availability of performance information has also increased working time of equipment components, reduced maintenance time and costs, increased performance and reduced fuel consumption. General Electric, an industrial equipment giant, recently made a big step towards “servitization” by opening three facilities around the world to provide 24 x 7 real-time monitoring and diagnostic services for its global base of 800 gas turbines and compressors. Prior to the launch of their iCenters, equipment services were done on-site and data stayed at the customers’ premises. Now, a combination of sensors and other control devices capture large amounts of data about the performance of the machines and send it to analytics software that will convert it into actionable information. While the big equipment manufacturers can create a business model where they embed M2M capabilities in their equipment and offer an end-to-end service, where “servitization” may be more relevant in 2015 is the adoption of this business model for smaller industrial equipment manufacturers.